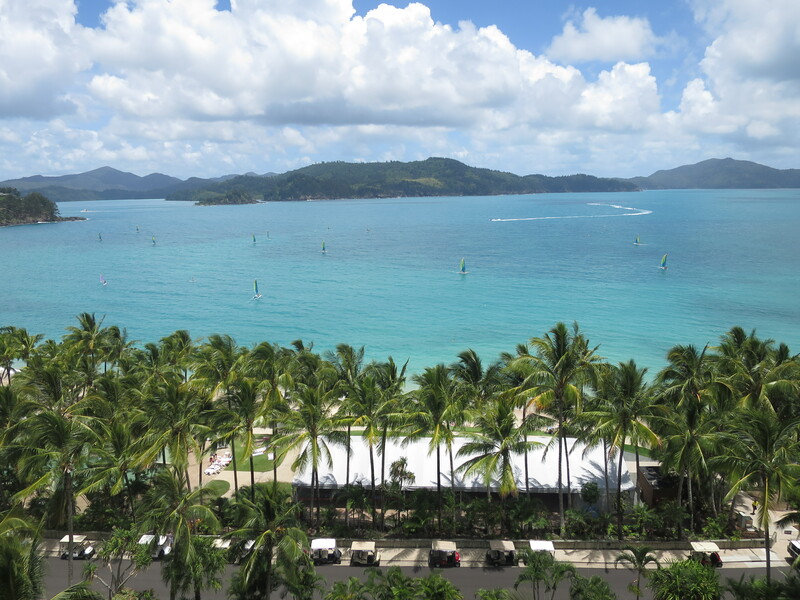 Next on our travels we headed to Hamilton Island, and one of the best excursions from there was to head out to Whitehaven Beach. The boat journey out was around an hour. 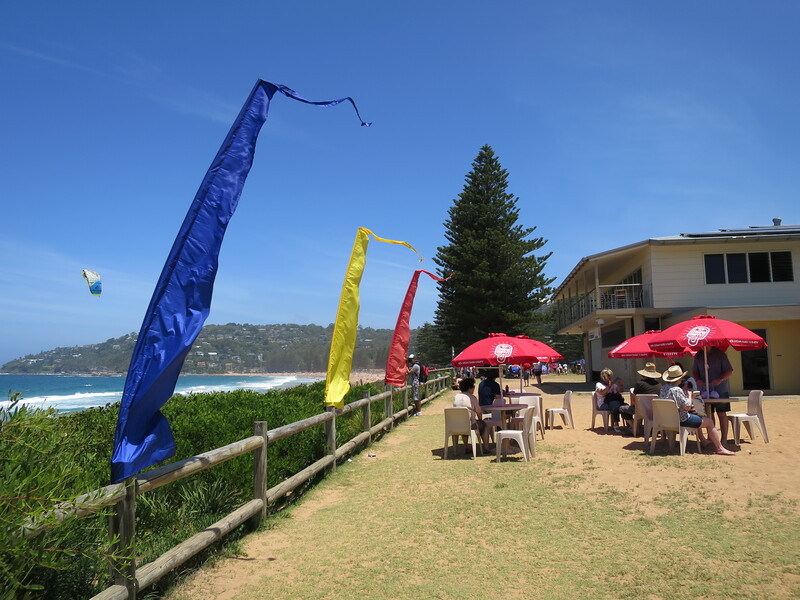 We had lunch included (but by lunch they meant melon and muffins) and a few hours on one of the most famous beaches in the world. 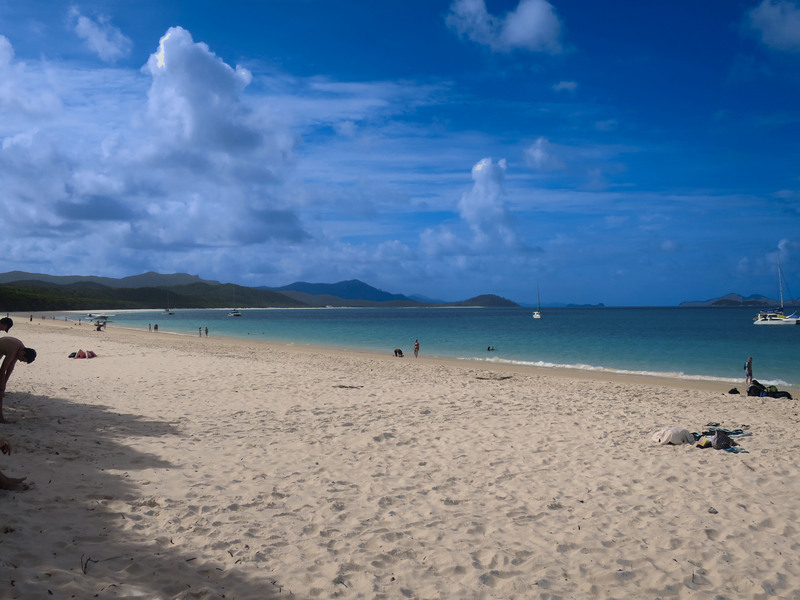 The sand was almost pure white and the sea crystal clear along the six kilometre stretch of beach – it was another stunning day in Australia. 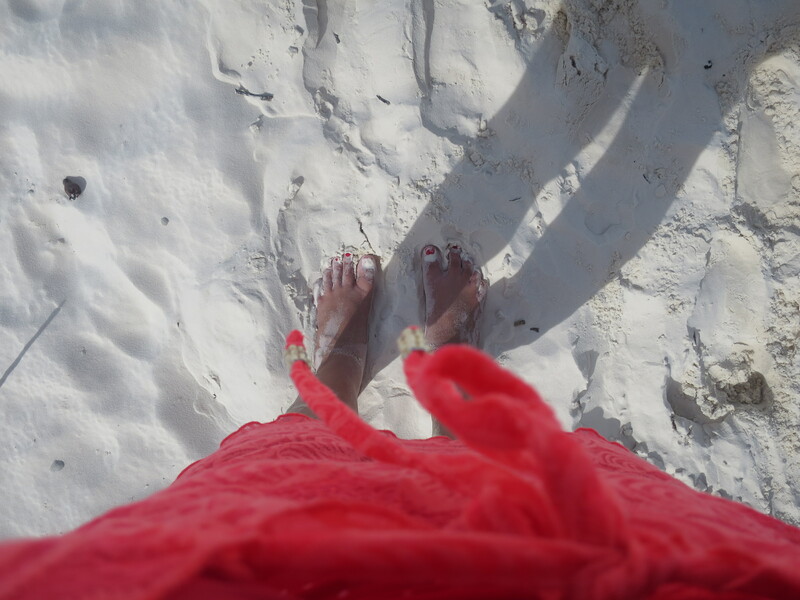 The pure white silica sand means that no matter how hot the day is, the sand never gets hot, so it is perfect to kick off your sandals and sink your tootsies in. 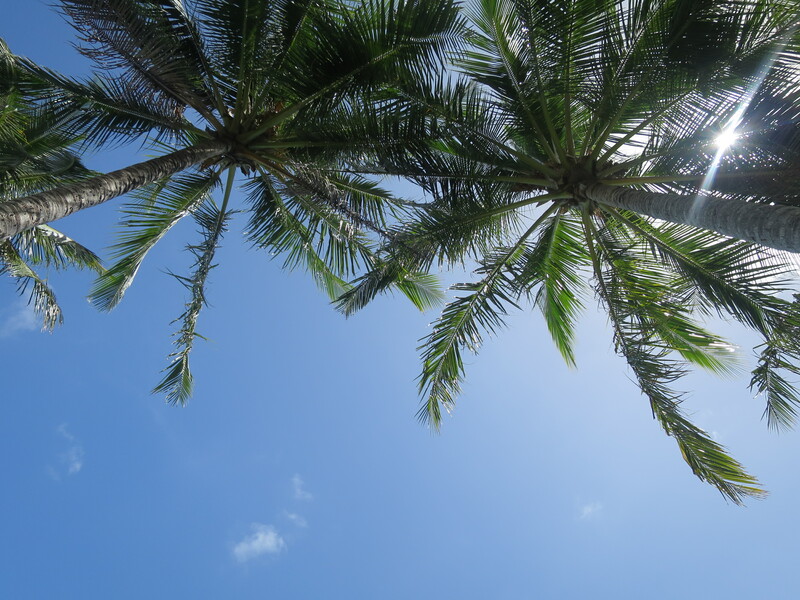 Unfortunately we were anchored too far away to climb the hill to see the famous inlet, but we did have a few hours to enjoy the peace of the beautiful beach, so we swam, snorkelled and took photos a-plenty! 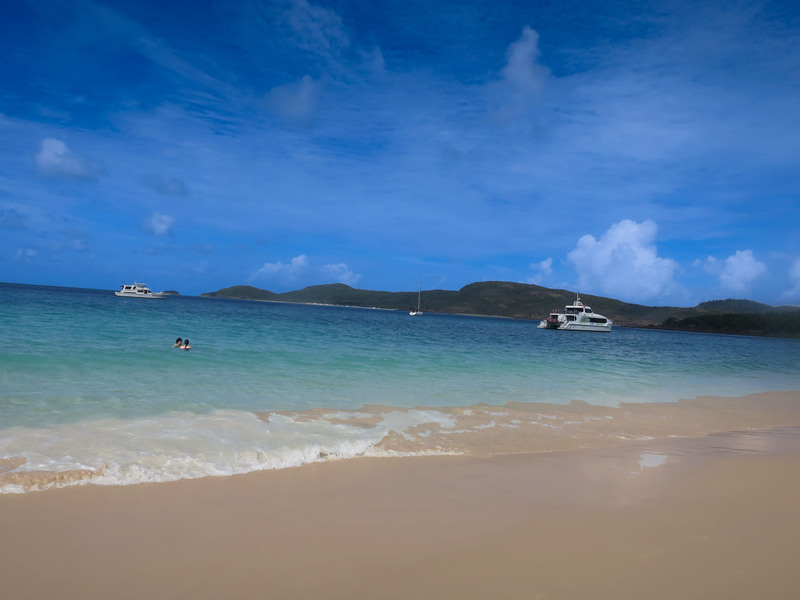 If you are one for lounging on a beach this is perfect for you. We had limited time so we couldn’t really explore, but if you are after something more then maybe a full day would suit you better. 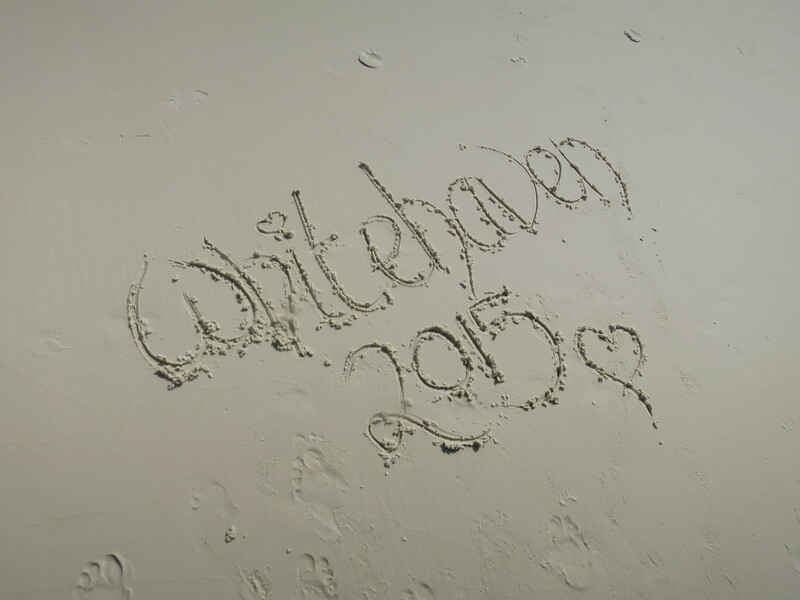 Have you been to Whitehaven? I’d love to see some pics! 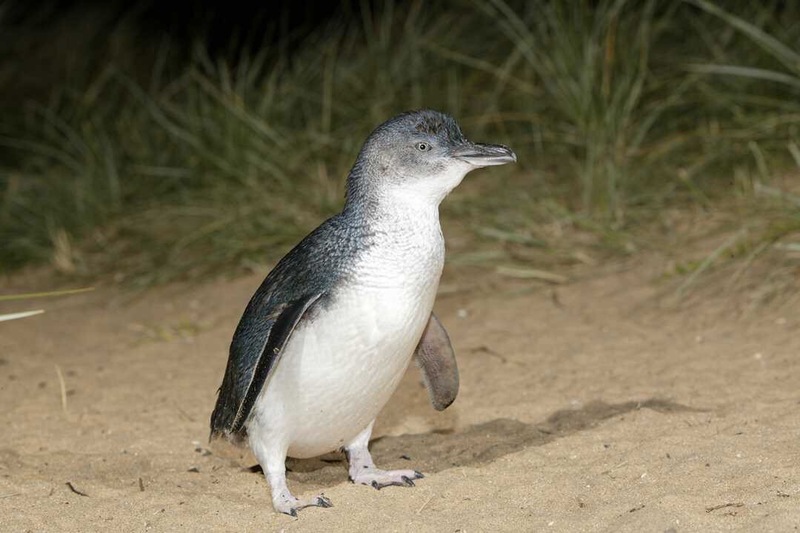 One of the main reasons for visiting Melbourne was to go on an excursion out to Phillip Island to see the world’s smallest penguins. 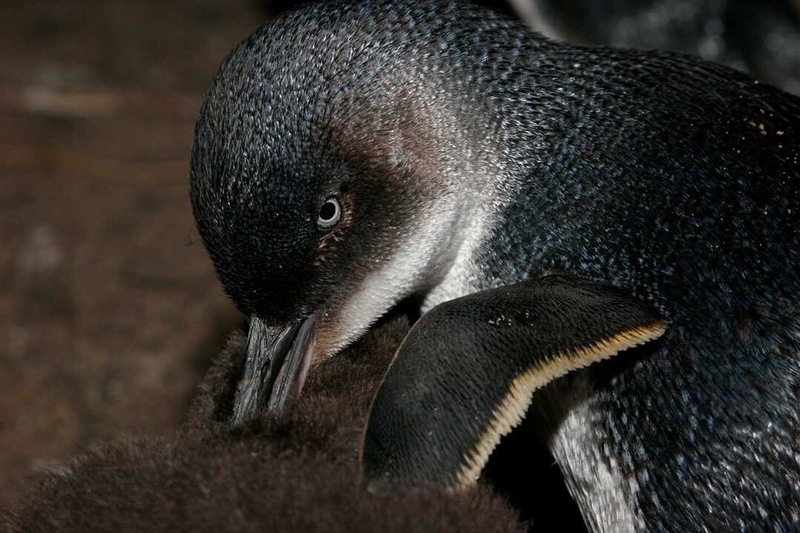 Our excursion was booked with AAT Kings and we went for the Express Tour, which gave us a few more hours in Melbourne. I’ll start by saying our coach driver (whose name has completely escaped me) was brilliant. 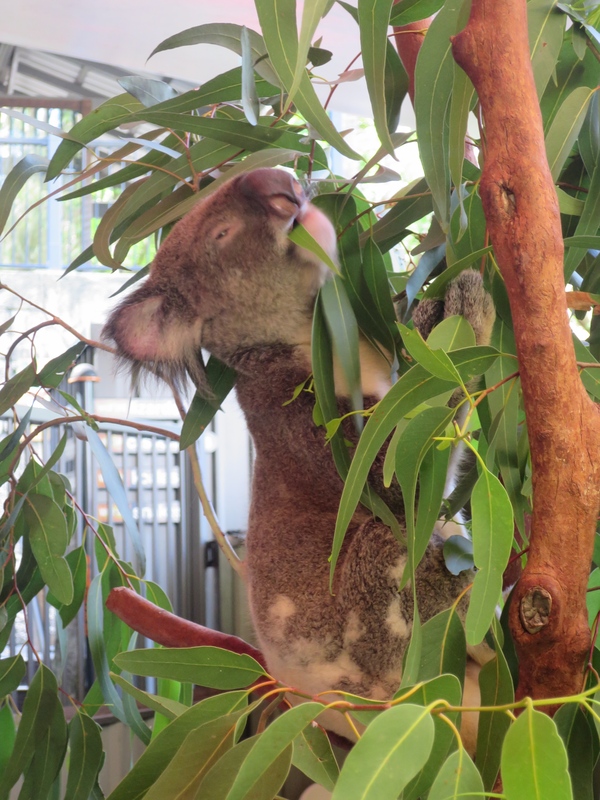 He was hilarious and talked for most of the way to Phillip Island. 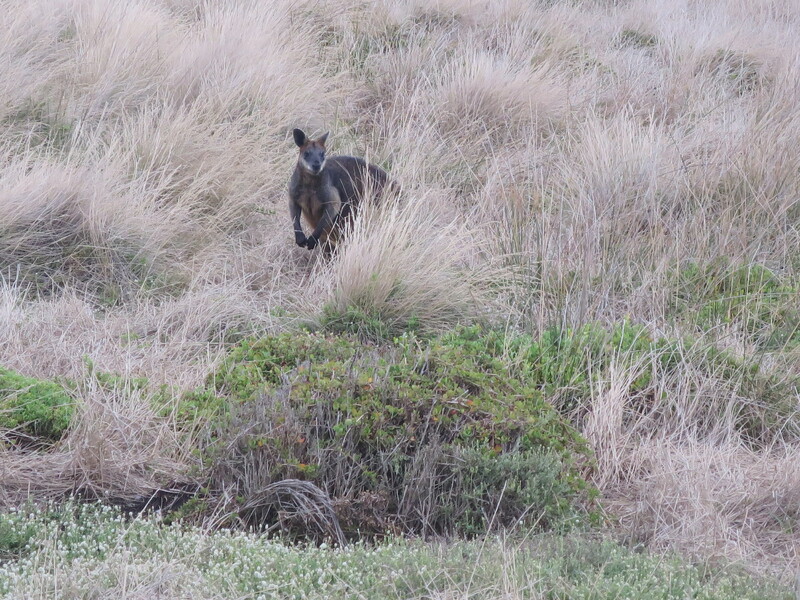 We turned up a little earlier than expected as the traffic was particularly light, so the driver took us around to see some spectacular views of the island, and along the way we met this little fella – a wallaby. 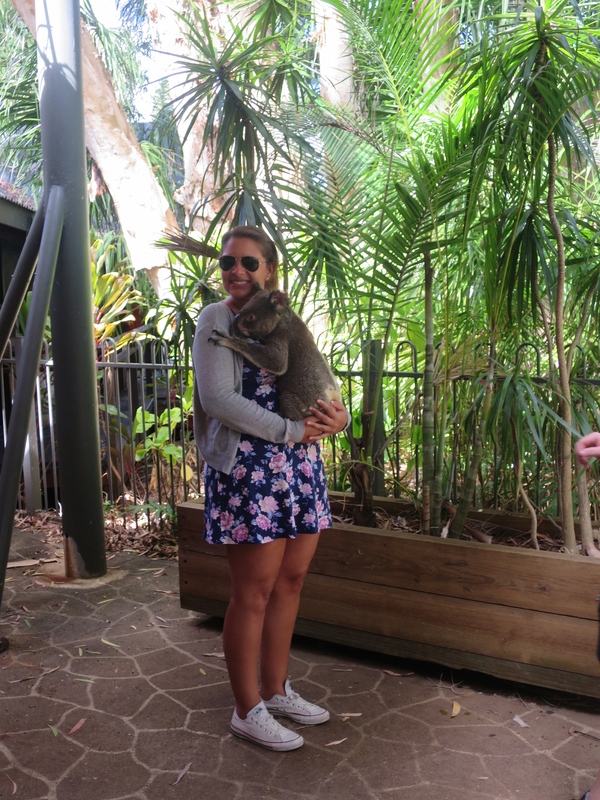 I am a bit disappointed I was in Australia for so long and didn’t see a Kangaroo, but this was close enough! 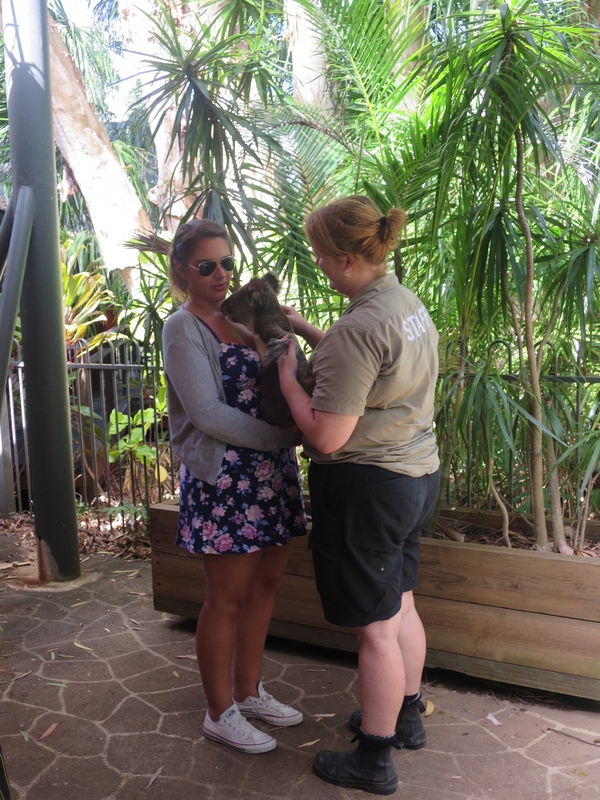 FUN FACT: Did you know there are more Kangaroos in Australia than there are people? 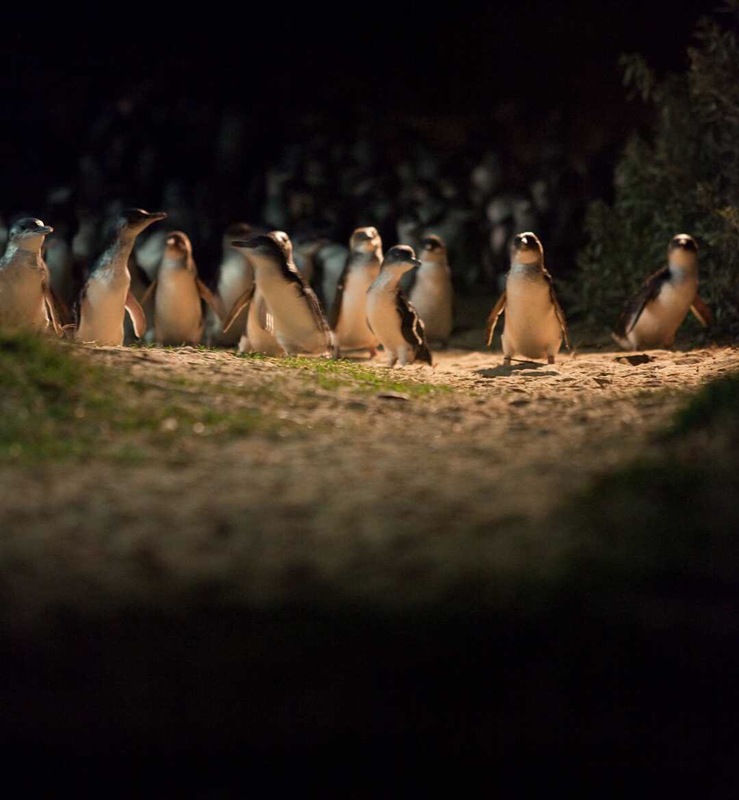 If you do go to visit the penguins make sure you’re prepared – we went in peak summer and it rained and was rather cold, but the rain stopped just before the penguins emerged from the sea. They sell blankets, ponchos and foamy things to sit on, but you may end up spending a small fortune if you are unprepared (like we were) so do take stuff with you just in case. 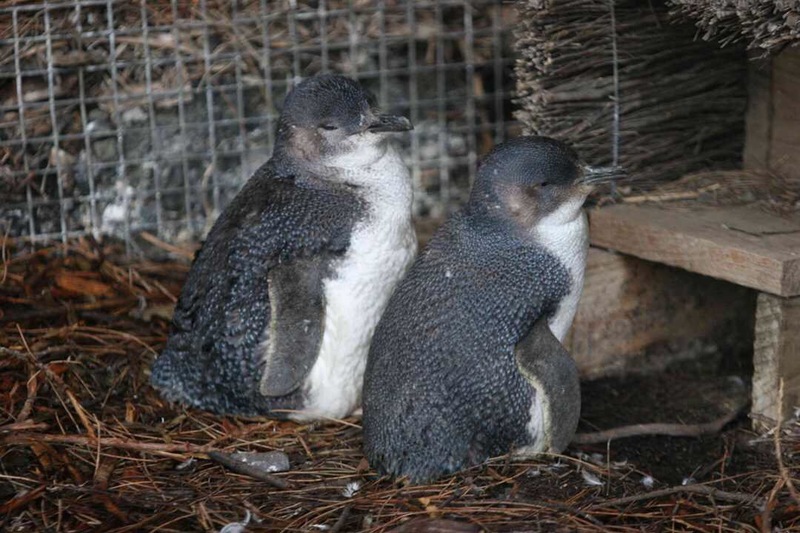 Aren’t they just the cutest things you have ever seen?! 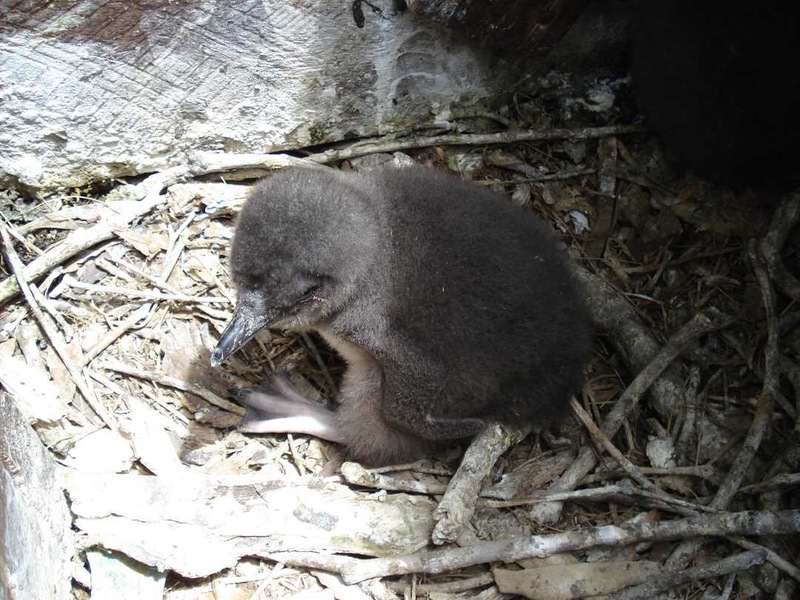 I definitely recommend going, and once you have watched them waddle their way to their nests you can walk along the boardwalks and see them feed, argue and waddle along with you! 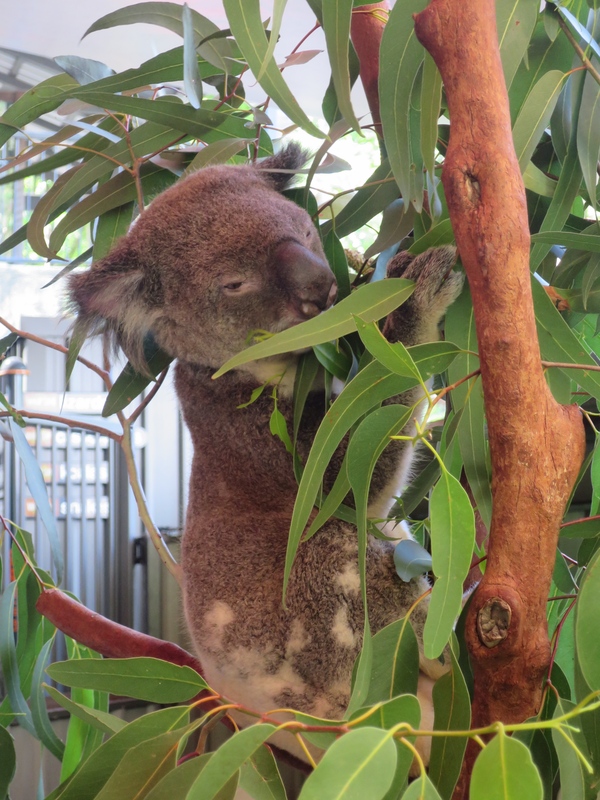 I only wish we had time to go to the Koala Conservation – so that’s on the list for next time! 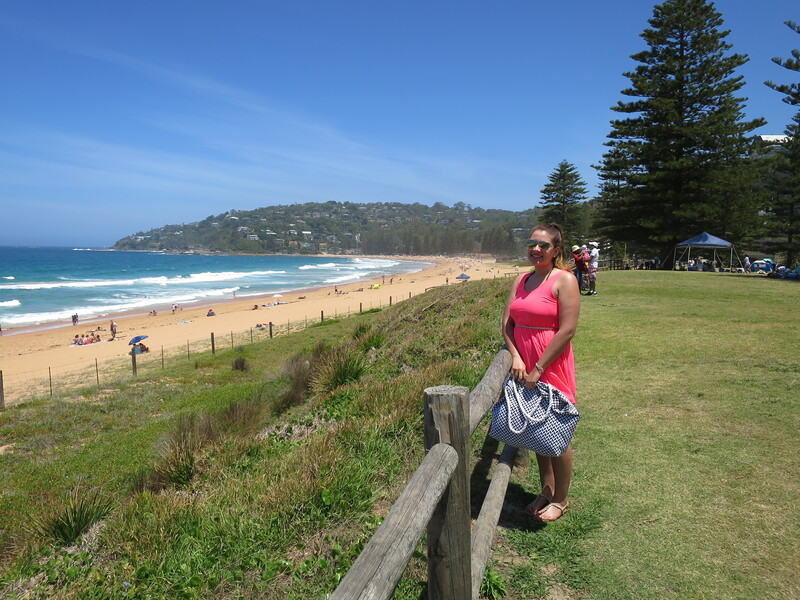 Our time in Melbourne was limited, but it has given us the perfect excuse to return to the trendiest city in Australia! 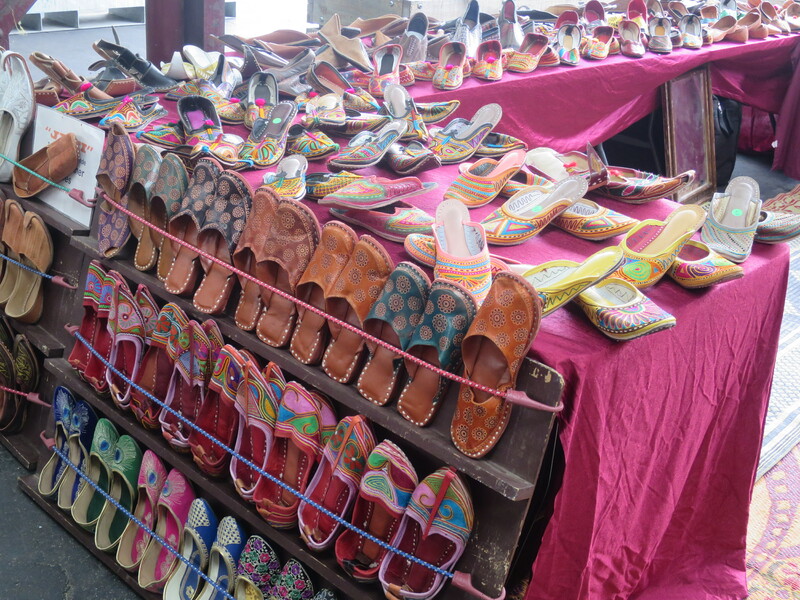 Our first stop was the huge indoor market, which is definitely a must if you are heading to Melbourne. 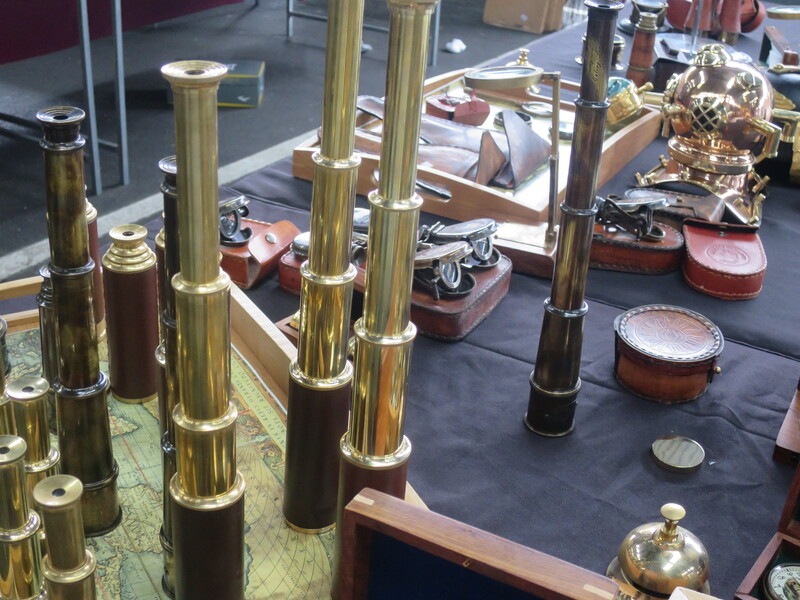 The rows inside are endless, we spent hours mooching about the stalls. 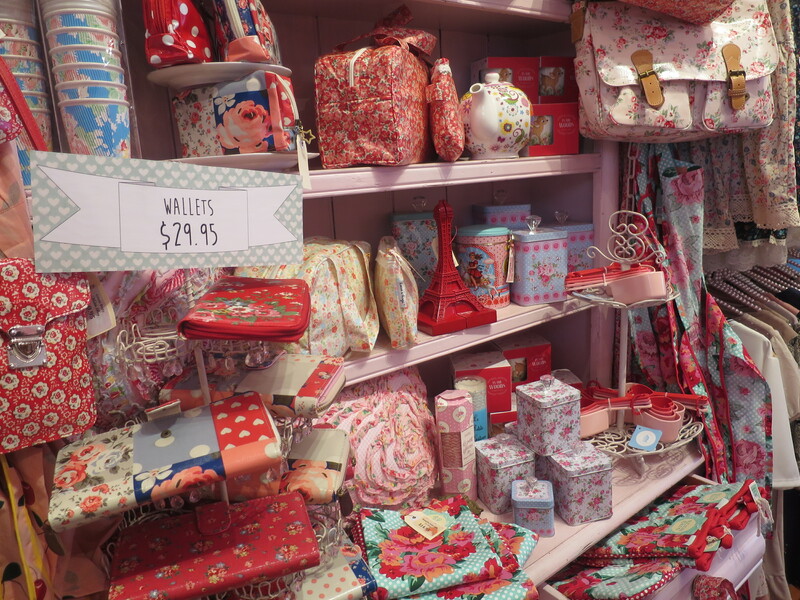 You will find anything and everything you can imagine, from their very own version of Cath Kidston goodies… … to antiques and collectables! 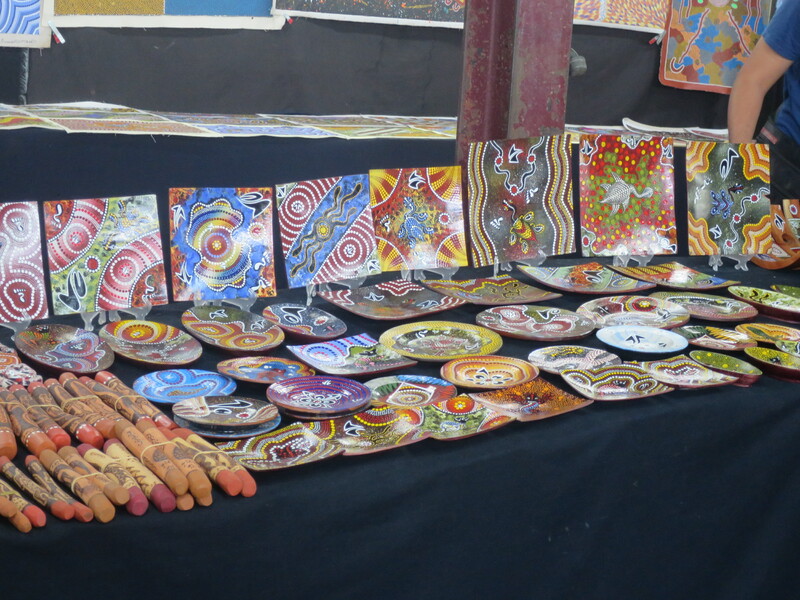 Aboriginal art is heavily featured, each with their own story of who created the artwork and what happens with the money once you have handed it over. Melbourne just wouldn’t be the same without a bit of the weird and wonderful, and I can safely say I have never seen a bag like these, and I probably never will! After hours of wandering the stalls, I found my gem, a writer’s dream. 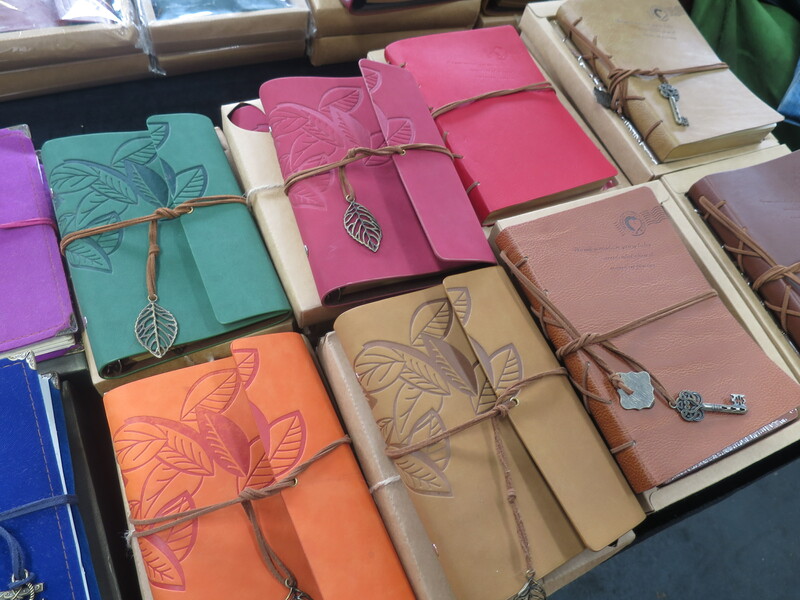 Handmade Australian leather bound notebooks. All stunning, and each one uniquely different. 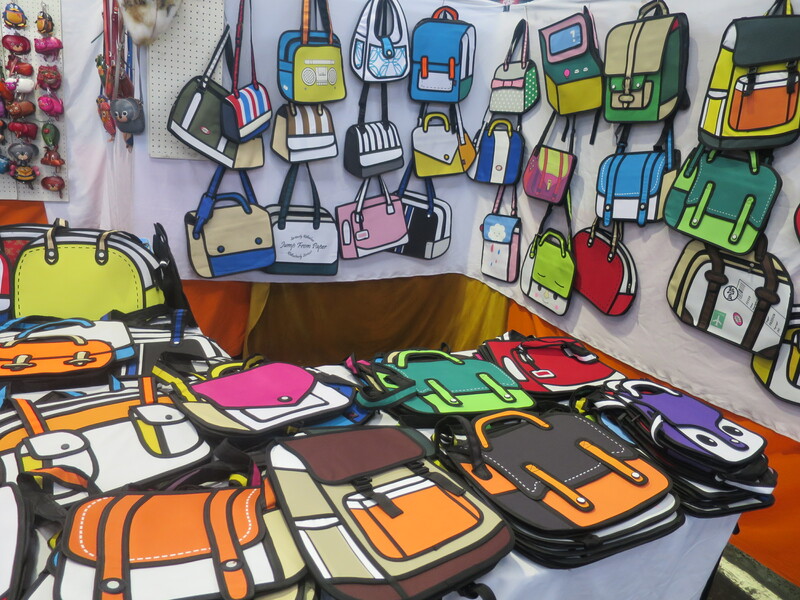 We didn’t come across the same stall twice, you can literally find everything from handmade shoes to knock off designer handbags and dirt cheap prices. 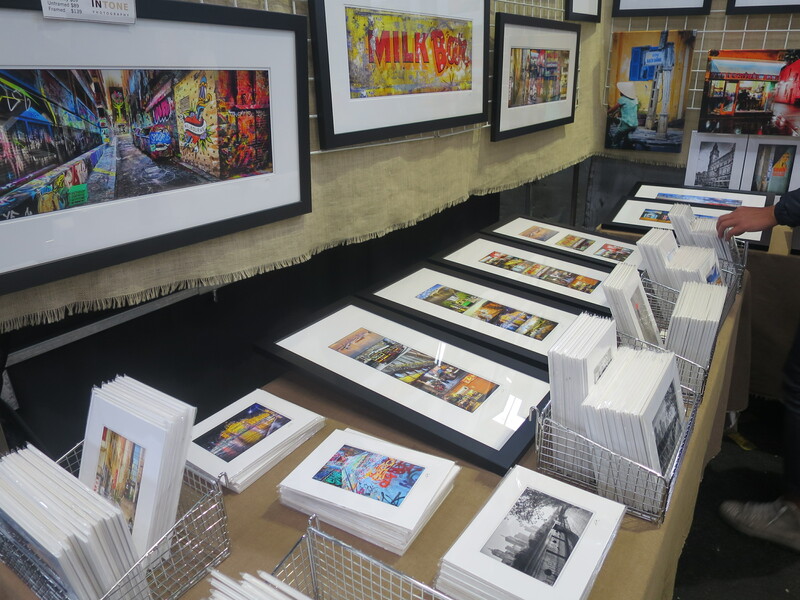 But we found a photographer selling his stunning images of said alley ways, and if we hadn’t already reached our baggage limit for our next destination a few of these would have come home with us. 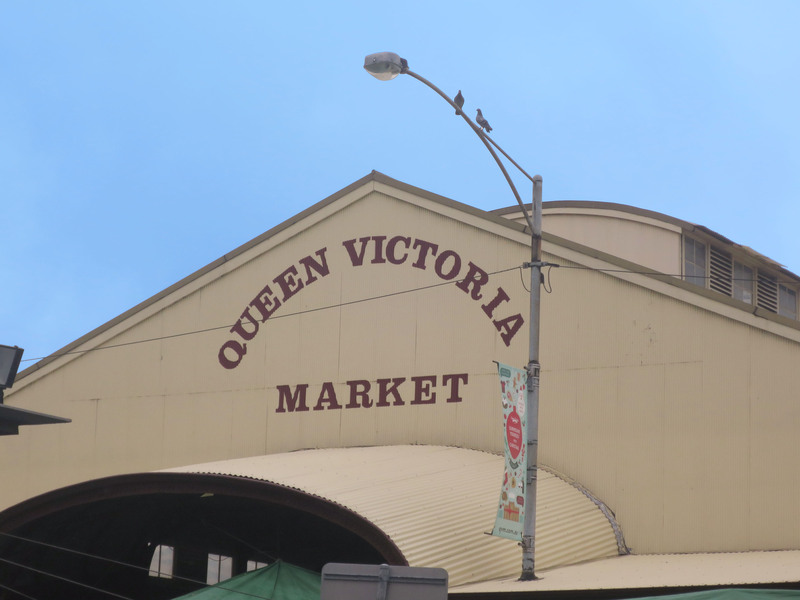 The Queen Victoria market should be on your ‘To Do List’ if you are even in Melbourne, I just wish we had had more time in the city, but as I said – perfect excuse to return! 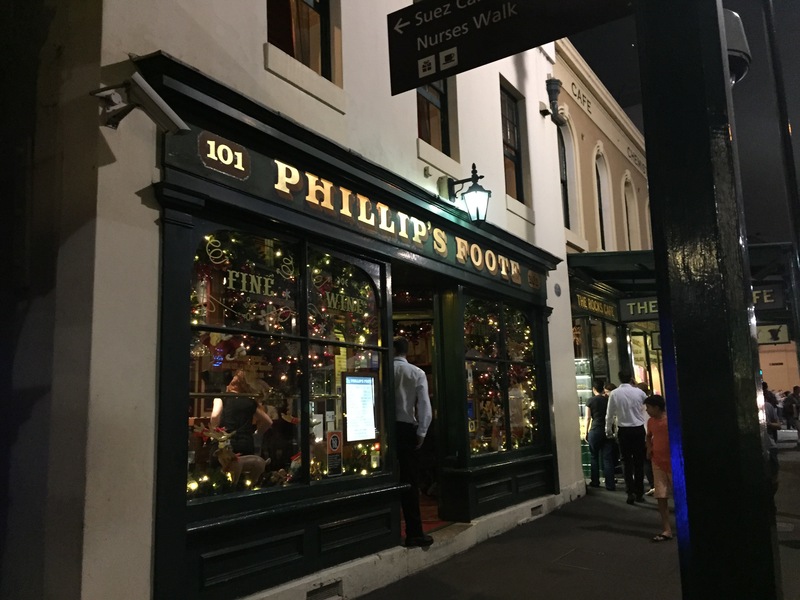 Have you been to Melbourne, or are you from Melbourne? 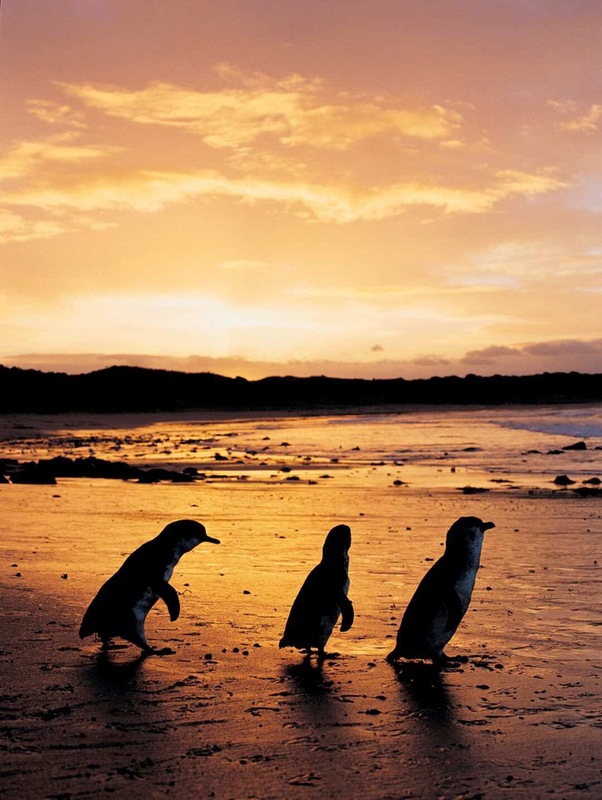 Can you recommend any other places to visit? 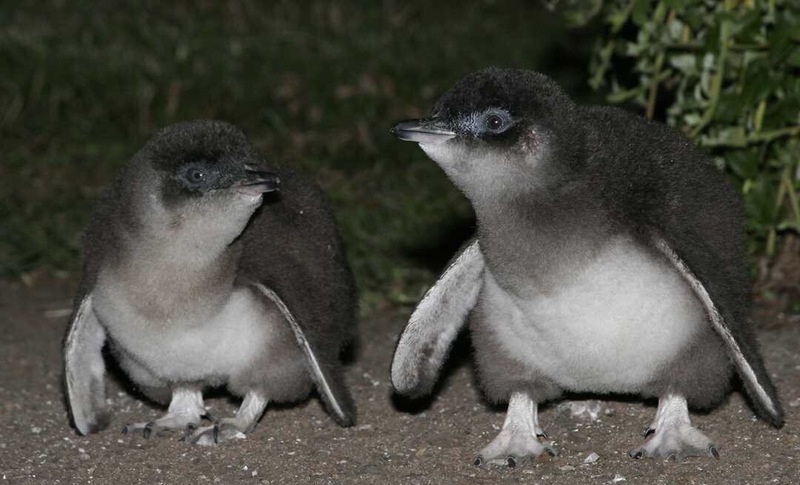 Check back tomorrow to see the little penguins at Phillip Island! 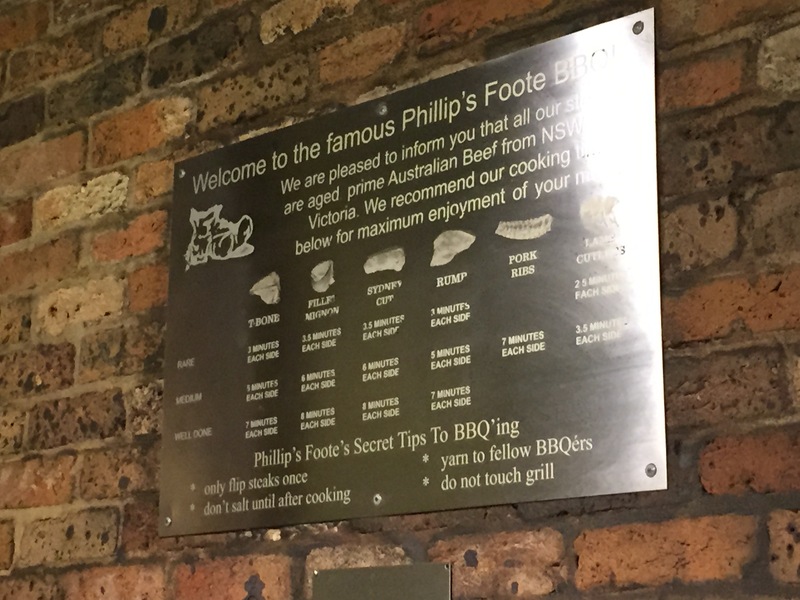 We had been in Sydney a few days, and realised we hadn’t had one barbecue. 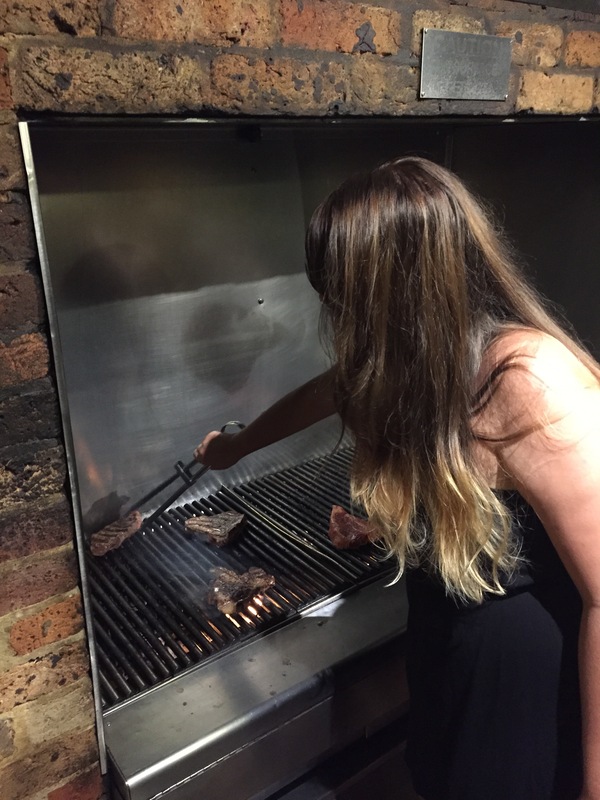 To rectify the problem we headed down to The Rocks and found the coolest barbie joint in town. 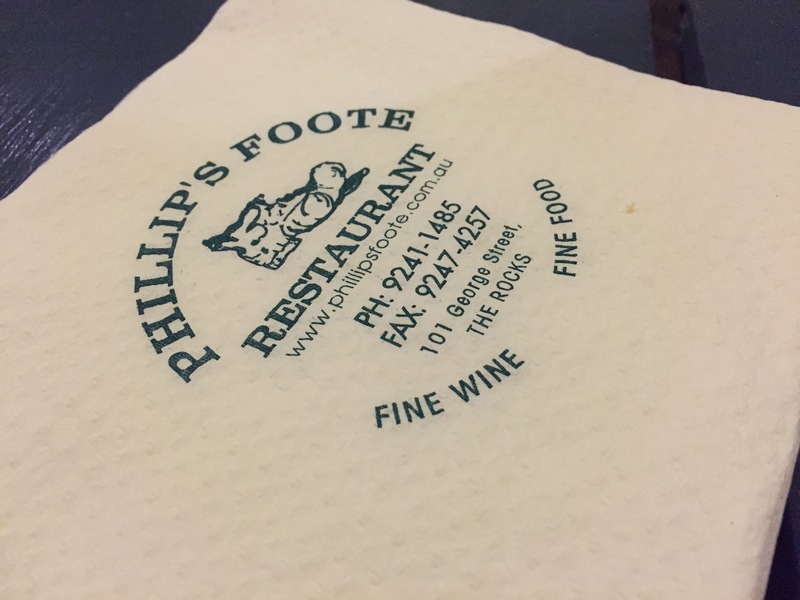 Down at Phillip’s Foote Restaurant the rules are simple: select your cut of meat and get it on the barbecue – just be careful you don’t over cook it! 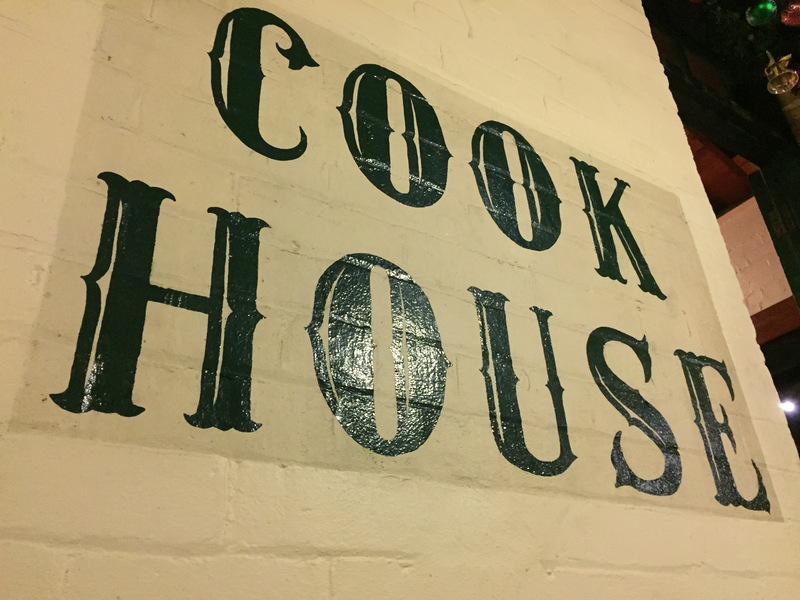 The meat is a high-quality and it’s all in the taste. Season it how you wish, oil it up and load up with veggies and salad! I’m not one for the BBQ, normally the boyfriend does it, but I just had to have a go! And it was SO tasty! 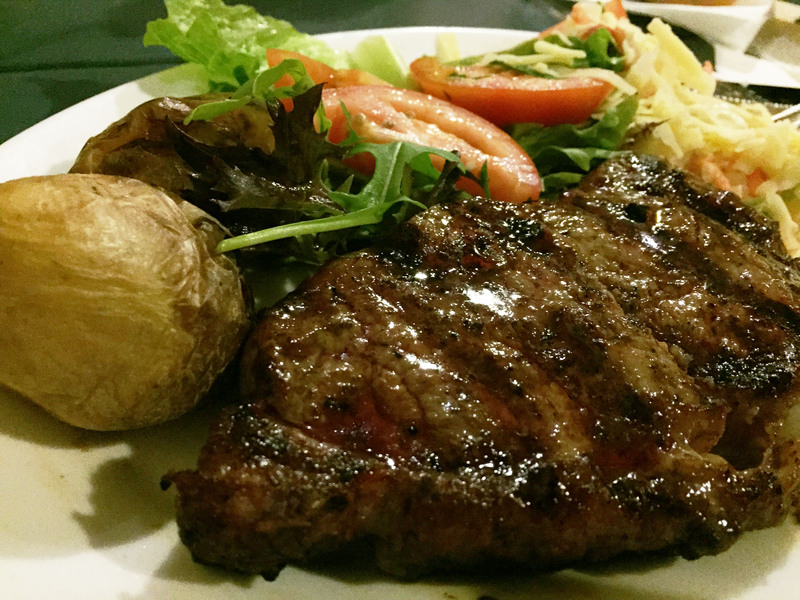 I had a good piece of sirloin, the boyfriend had T-bone and all in it was around $70 (£35 – £40) – not bad considering all of the other goodies are all you can eat. 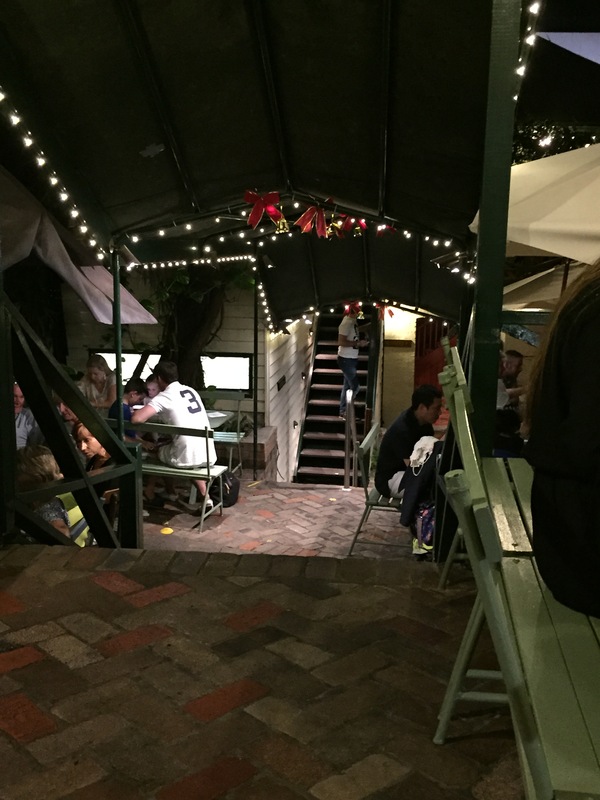 The place itself looks tiny on the outside, but once you are in it is a maze of steps and quirky hidey holes. And then there’s the homemade desserts. 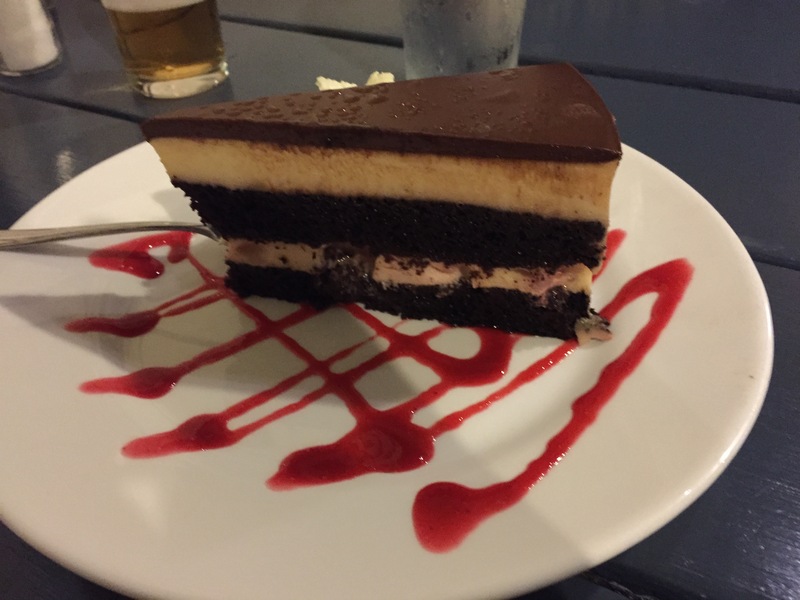 This is Blackforest heaven on a plate. I loved the evening there, and being very small on the outside as I said, you could quite easily miss it if you walked too fast. 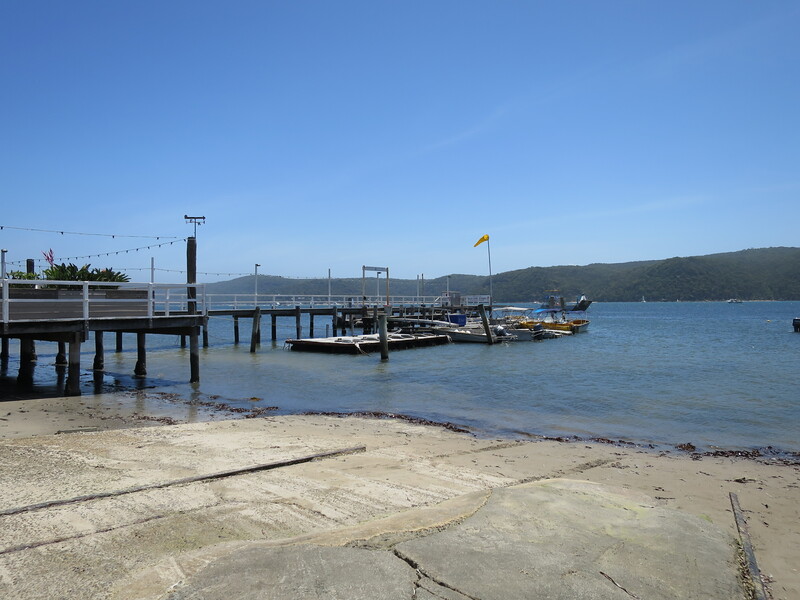 Because of the location it’s a nice stroll down to the harbour once you have eaten yourself stupid, so head on down for the best barbecue in Sydney! 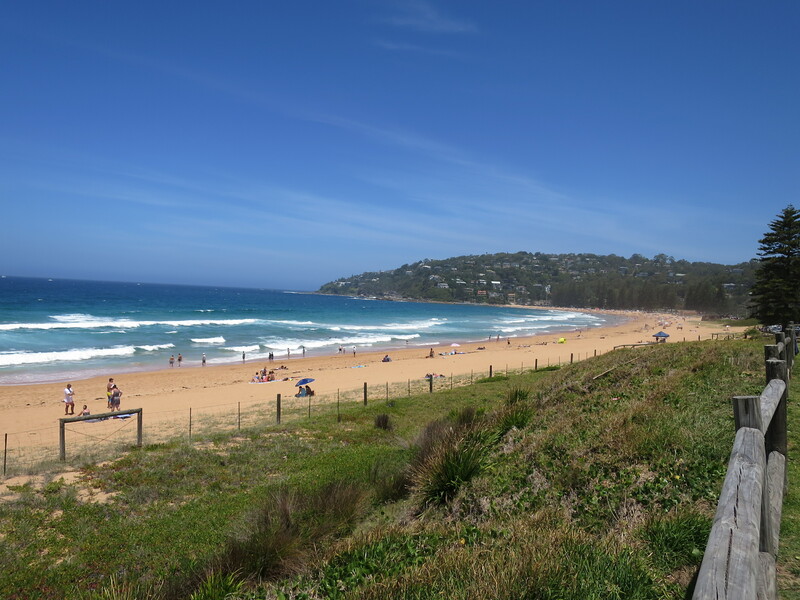 As I said when we went off to Bondi, a lot of the locals we ran into told us to head up to the northern beaches, and as a fan of Home and Away, it had to be Palm Beach. As you can see the weather absolutely did not disappoint! 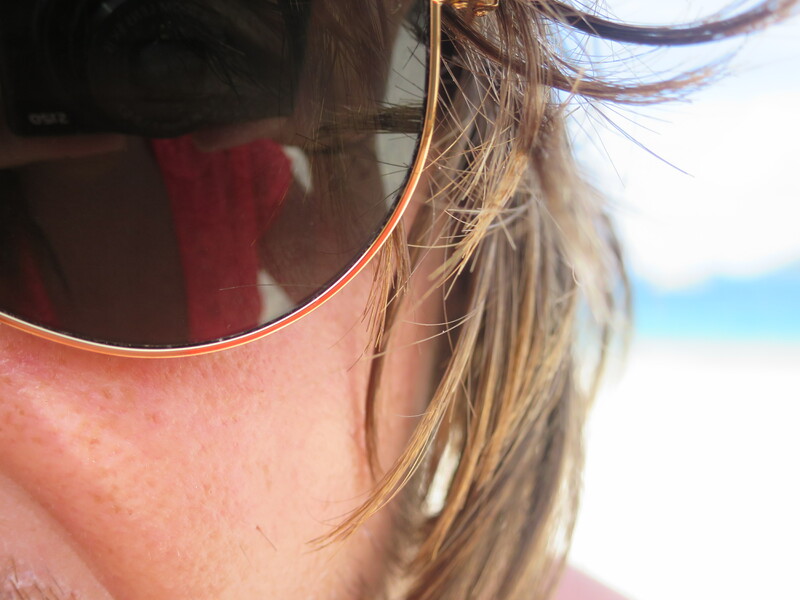 It was New Year’s Day, and the sand was so hot we were bunny hopping all the way to the sea. Unfortunately, as it was the holidays there was no filming going on, but it didn’t stop me doing the tourist thing. 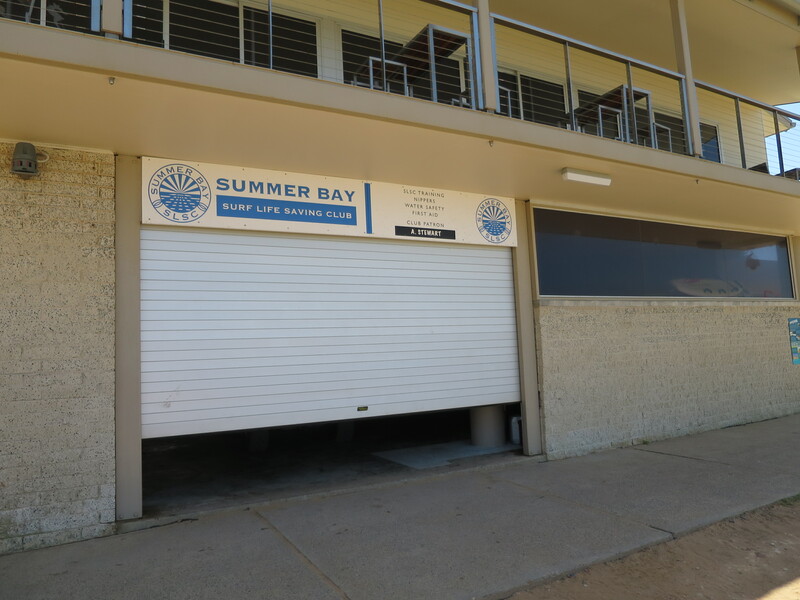 As you can see some of the ‘Summer Bay’ signs are permanent fixtures in Palm Beach. 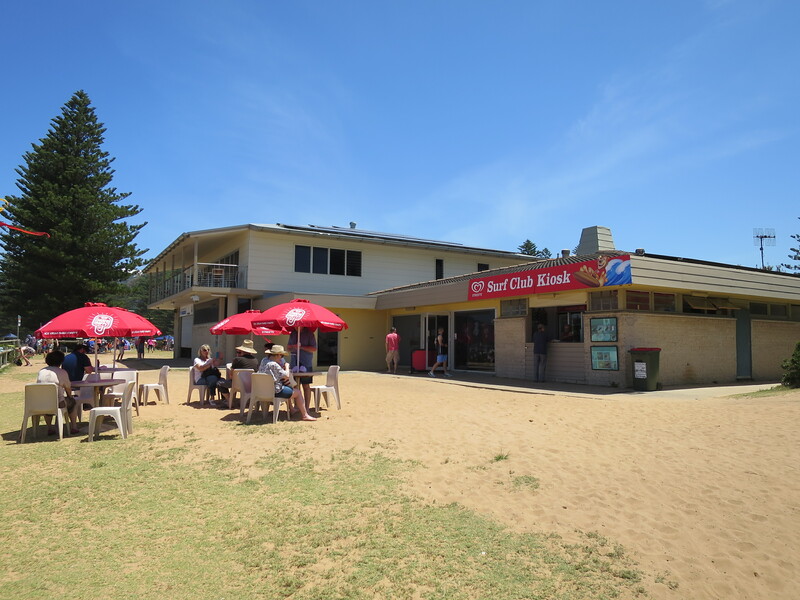 And the Surf Club literally looks exactly the same as the show! 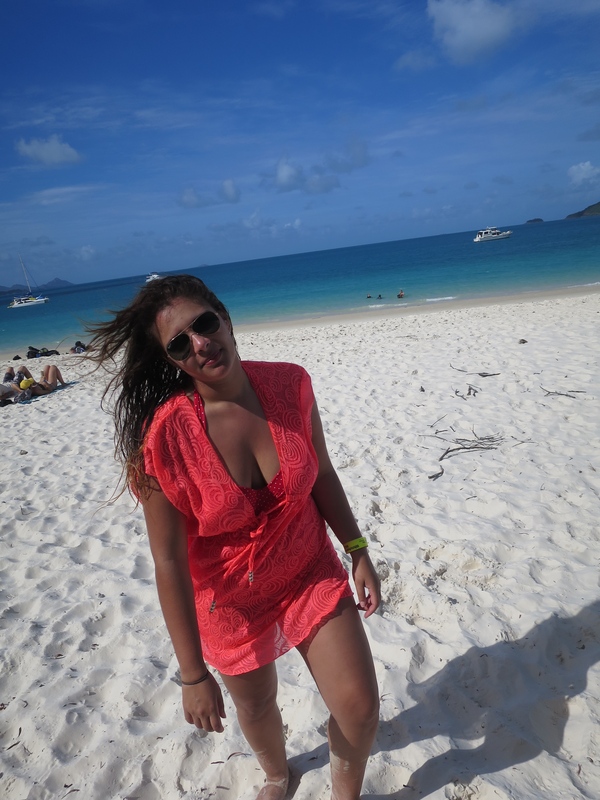 I was practically giddy by this point – much to my bf’s dismay. Does anyone recognise the Bay yet? 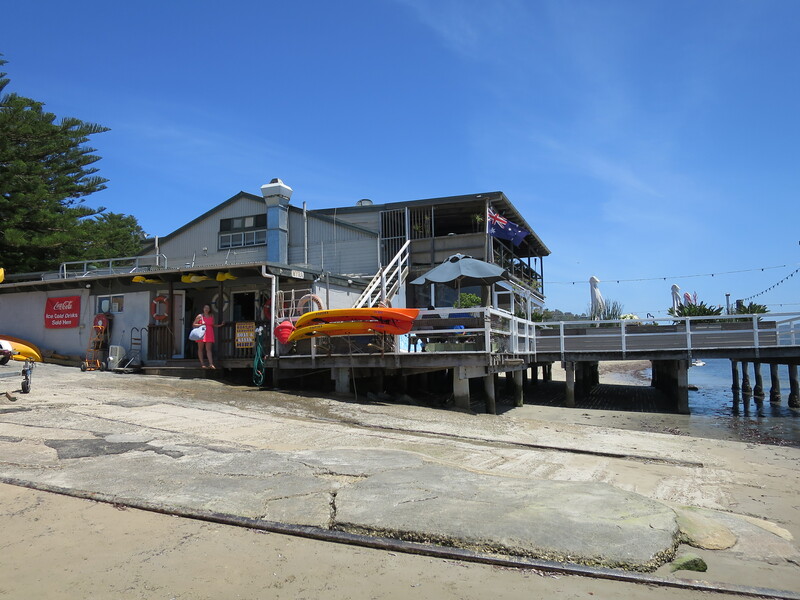 Around the corner of the main point of Palm Beach are the calmer waters that surround the Bait Shop and the Diner, which is a real café, however it was closed so I was a little gutted. 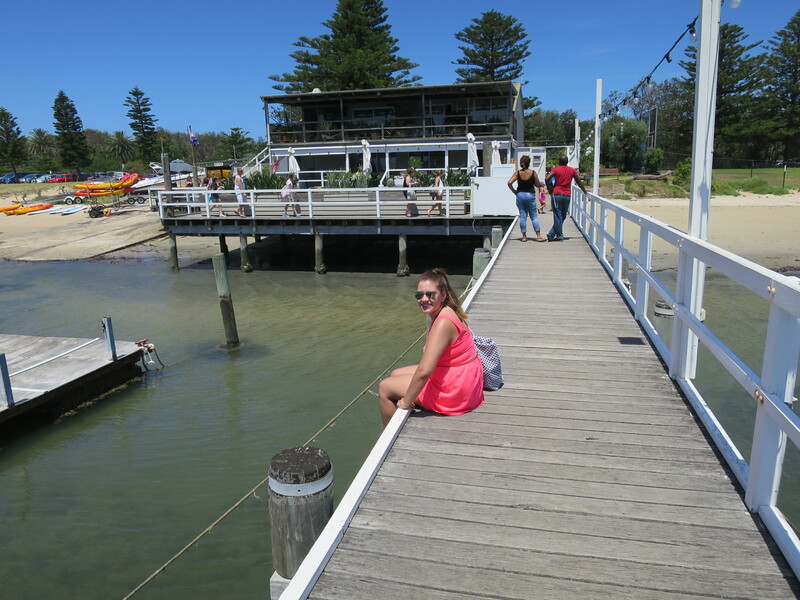 But I managed to coax him into one last picture of me on the pier where many a cast member has ran, sat or cried! By far this was a highlight of our trip, and though there wasn’t a Braxton in sight, I still had fun and managed to top up the old tan. 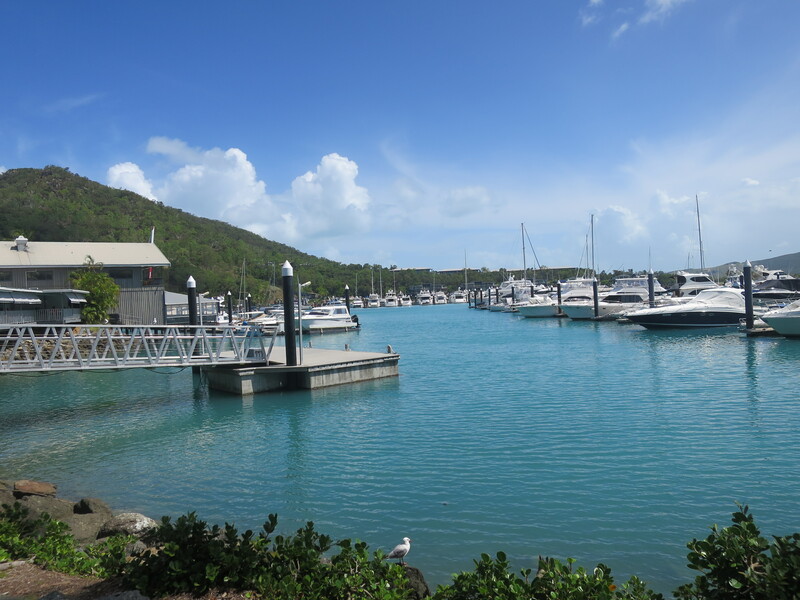 If you plan on heading down that way I would suggest taking some lunch with you – there is only the kiosk, which sells drinks and ice cream, or the café of course (when it’s open), but the view is so stunning. I wish we had taken a disposable barbie with us! There are some communal barbecues (very cool), but as it was New Year’s Day and there is really nowhere close by to eat, they were all full up. I only wish I had know that sooner! 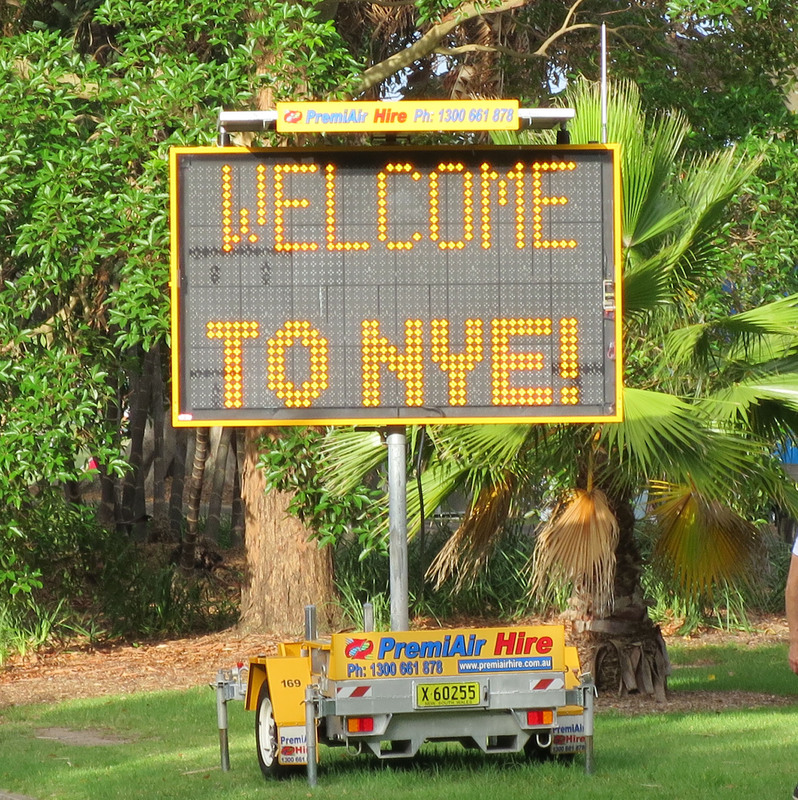 New Year’s Eve was upon us, and it was the main reason for our visit to Australia. We were lucky enough to get tickets for the best vantage point in Sydney from The Point in the Royal Botanical Gardens, and it was worth every penny. As this was a ticketed event with limited numbers, we didn’t bother queuing all day (or all week like some had to secure a good free space). 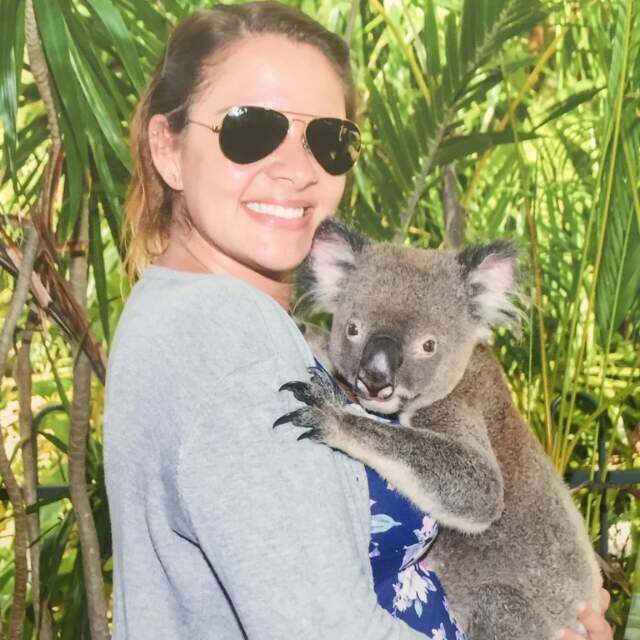 I honestly am glad I spent the money so I was able to have a whole day in Sydney and have an amazing view without having to sit a queue in the summer heat! The doors to the event opened at 6pm, and closed at 7pm. We rocked up at 6.30pm and were handed a gourmet picnic and tickets for free water. The foodie stalls were also included in the ticket price, but as we had spent the day filling our faces with gelato and other goodies, we were just too full. Instead we just munched on our little picnic of pepper, ricotta and thyme tart, Cypriot grains and chargrilled vegetables with wild rice and a selection of cheeses and dried tomatoes. We got chatting to some people who had queued since lunchtime to get in and secure a good seat, and as I said, we walked in at 6.30pm and sat next to them. There is no such thing as a bad seat here, I would only recommend going a little early if you are in a large group which wants to sit together. We snapped some pics as the sun went down and it was lovely and warm, despite my wearing a jacket it was still around 25 degrees but it gets a tad breezy! Then for the main event, 12 minutes of utter magic! 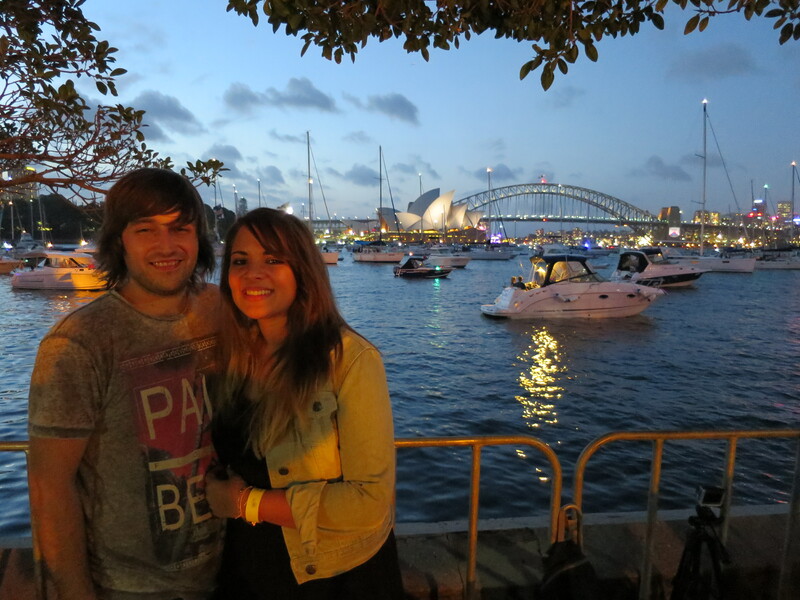 And as you can see, it really was the best view in Sydney! 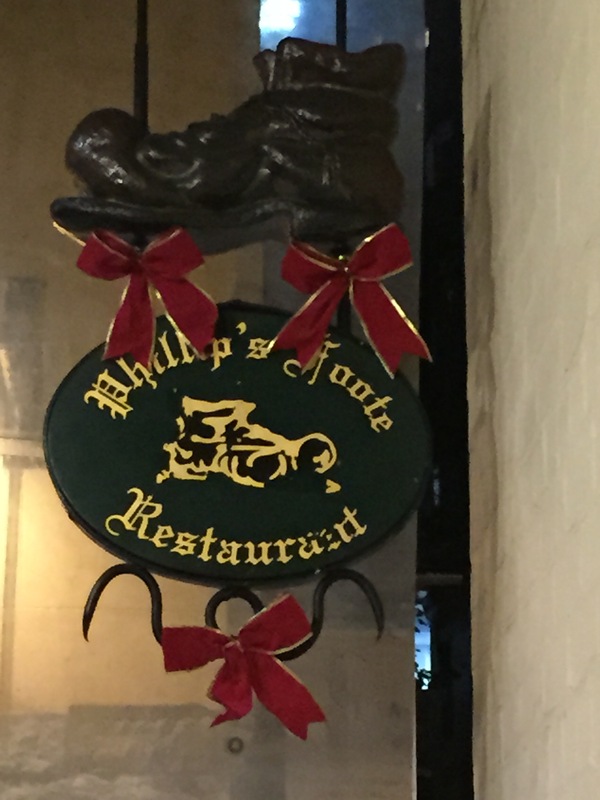 As a lot of the roads are closed off in Sydney for New Year, the only way to get back into the city is to walk, and luckily for us it was only a 20-minute walk to the Menzies Hotel. 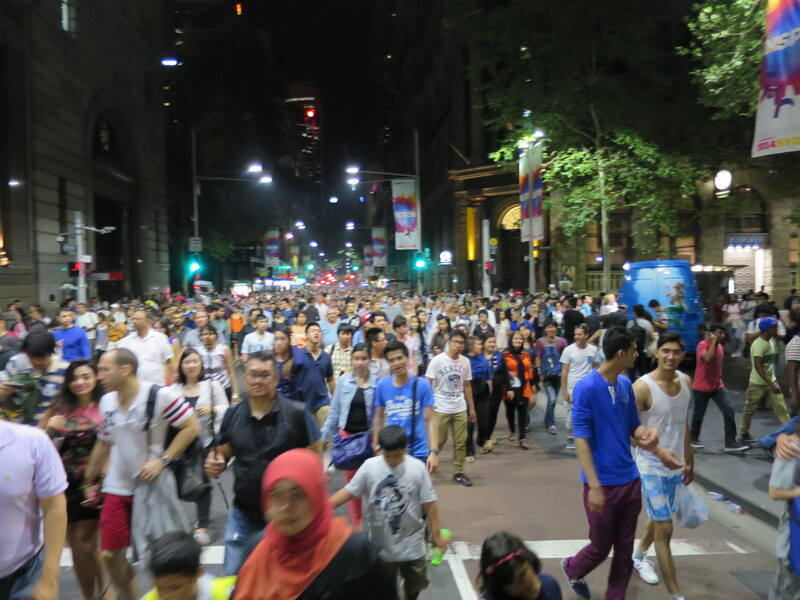 But walking against a rumoured 1.6 million people added to the journey – it felt we were the only ones heading back in to the city! 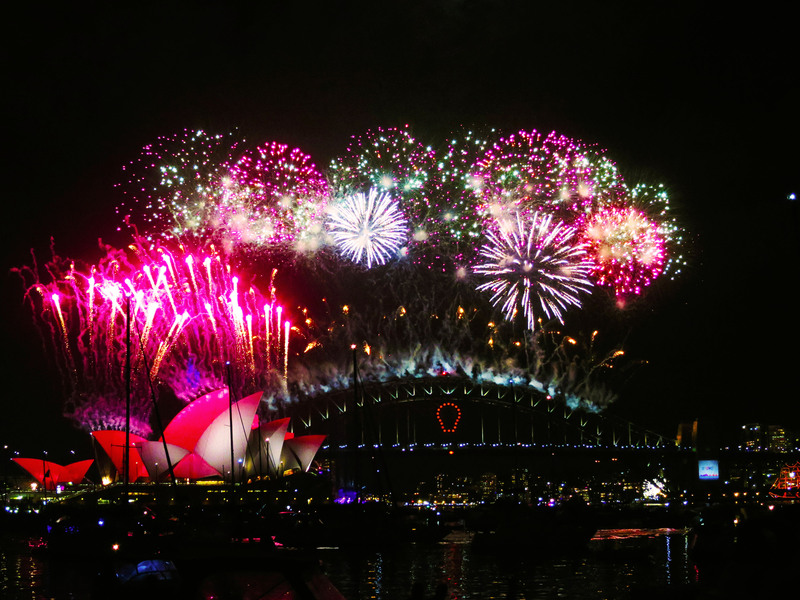 And there you have it, New Year 2015 in Sydney! It was quite a night, and something you just can’t put into words. 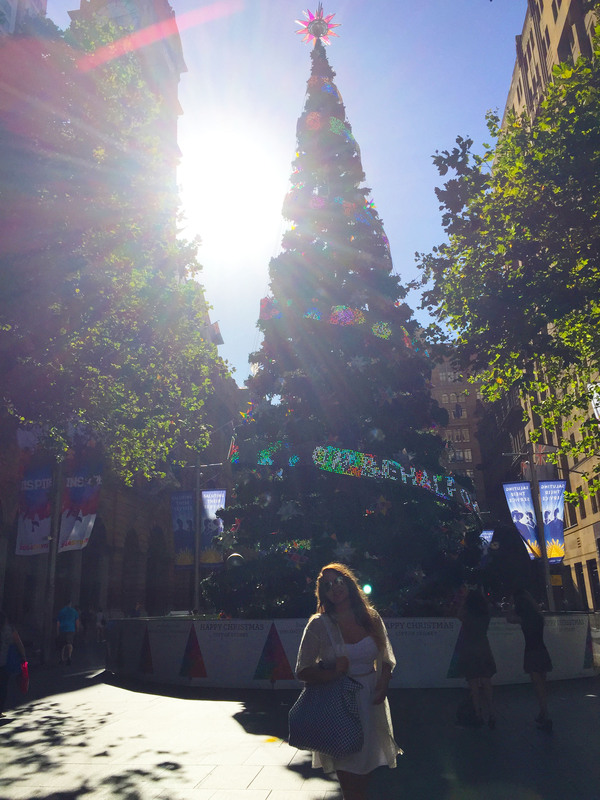 Despite all of the people, Sydney is the cleanest city I have ever seen – I think the locals would be mortified with London. 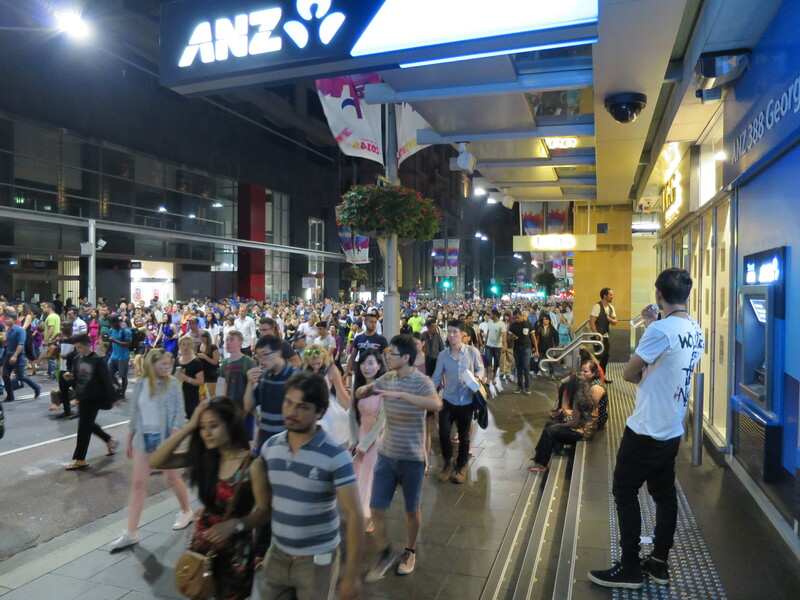 Have you been to Sydney for New Year? Where did you watch the display from?